A long iron/fairway wood can go as far as a driver here as the ball will tend to land on the down slope and then run forward. This leaves a mid to short iron pitch. 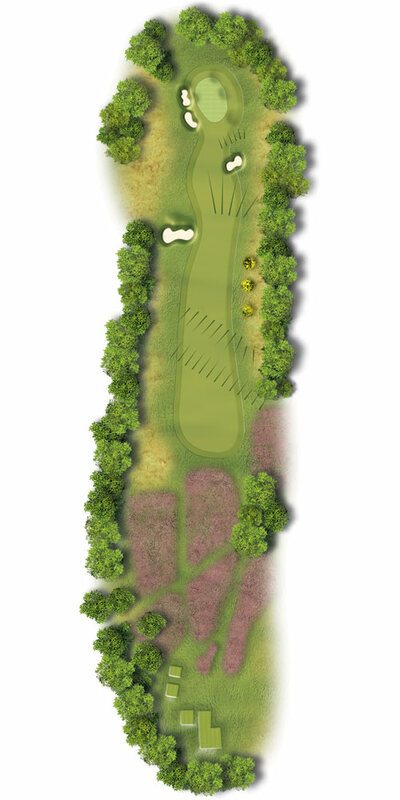 Avoid the bunkers protecting the left of the green and a birdie opportunity awaits. With no bunkers off the tee, the first key is to carry the heather. With your second stay to the right as the ball will feed in from this side and avoid large fairway bunker 60 yards short of the green.